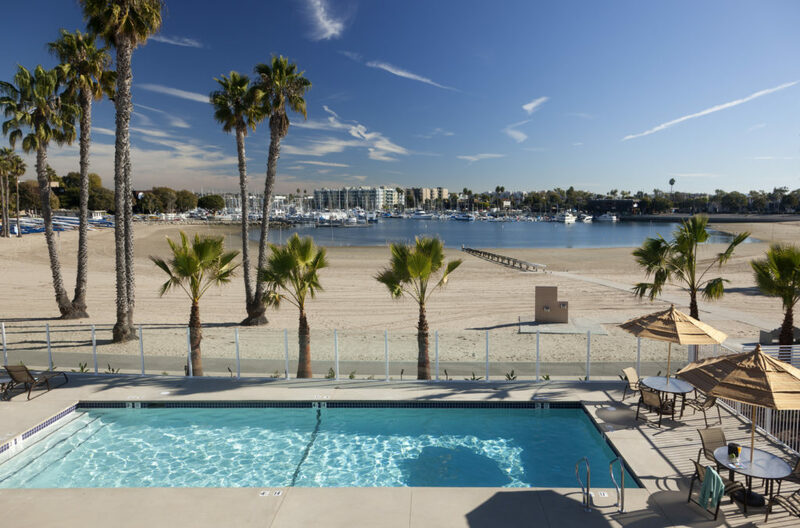 If your idea of a good vacation involves water as the prime attraction, then Marina del Rey is for you. Billed as Los Angeles’ “coastal playground,” this city boasts water activities abounding year-round. Surprisingly just a short four-mile drive from the LAX airport, Marina del Rey is central to the LA coastline. It’s a short walking distance to the famed Venice Beach and just a bike ride away from trendy Abbott Kinney Boulevard and gorgeous Santa Monica, which each have a character and charm all their own. But, for its part, Marina del Ray is a stellar waterfront destination with perennial aqua and outdoor-oriented recreation options for families, couples, friend groups and business travelers, alike. From sailing, harbor and dinner cruises, and yacht excursions to scuba, snorkeling, parasailing, kayaking, and stand-up paddle boarding to sport fishing, whale-watching and more, Marina del Ray is rife with activity opportunities. And while the city is certainly replete with accommodation choices, one boutique property in particular Jamaica Bay Inn offers a distinctive array of features and benefits paired with warm and gracious hospitality that sets it apart from the pack. There are only a handful of hotels in Los Angeles that actually sit right on the beach, and this is one of them. However, the particular setting for this property is quite serene, clean and decidedly family friendly. Set on Marina del Rey’s peaceful Mother’s Beach, Jamaica Bay Inn provides a quiet cul-de-sac waterfront respite without the usual noise and crowds of typical beach areas. 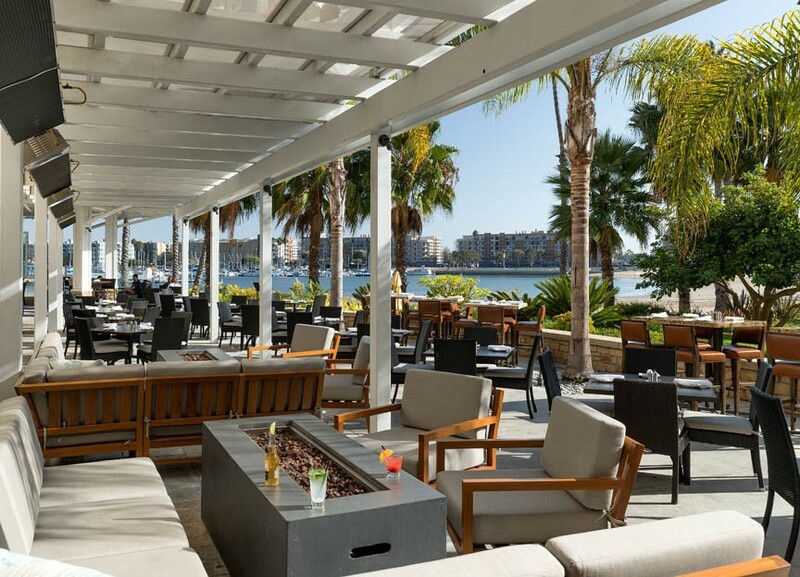 Bar—helmed by Chef Victor Morales—is a bright and fresh space offering superb waterfront views amid indoor/outdoor bar and dining options. It’s here where you really “feel” like you’re on vacation as both the view and the breeze is delightful. In the foreground there’s the clean sandy beach leading to the waterway that’s active with swimmers, kayakers, paddle boarders and such. Further beyond is a marina filled with gorgeous sailboats, which provides a stunning backdrop. Viewing the sailboat masts against the blue sky during the day and dusk in the early evening is a treat all its own. Diners also enjoy this entire vista while sitting inside the nautical-chic eatery where windows and natural light abounds. breakfast/brunch, lunch (as all day dining), happy hour and dinner, Chef Morales’ menu is casual and approachable, but her penchant for quality, flavor and presentation is readily evident. 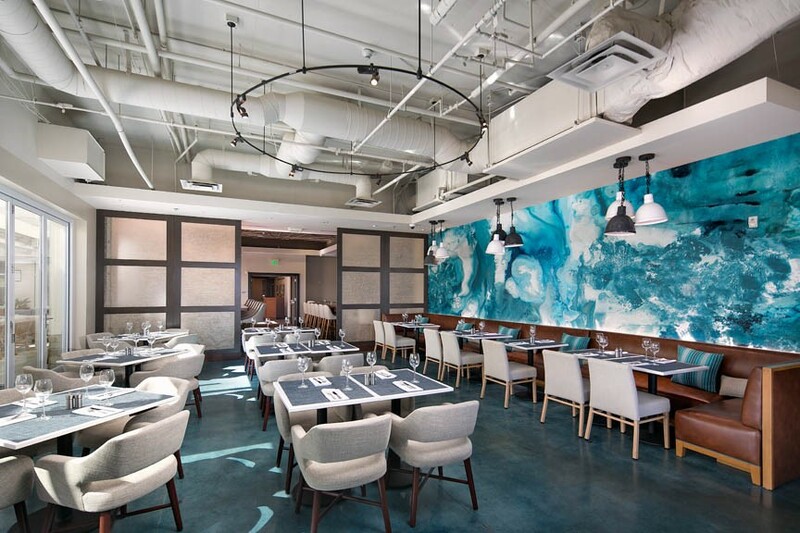 On the current iteration of the menu, dishes like to-die-for Brussels Sprouts with sambal sauce, Thai basil, mint and peanuts, Ahi Tuna Tartare, Tempura Fish Tacos, 10-ounce Kurobuta Pork Chop and Jumbo Lump Crab Cakes delight. Here you can sip, savor and settle into “vacation mode.” Notably, Beachside serves gluten-free items and organic entrees are available on the various menus throughout the day and night, including organic chicken, sustainable wild fish, and environmentally conscious farm-raised fish. There’s also a kids’ menu. For those who prefer to dine in the privacy of their room, Beachside Restaurant & Bar will deliver right to your door for breakfast, lunch or dinner. (hotel-wide, actually), granite countertops, plush linens and bathrobes, Molton Brown bath amenities, a mini-fridge and Keurig coffee maker with complimentary coffee, and safe for securing valuables. Many also have private balconies with panoramic water and marina views. Other hotel amenities include a fitness center, a 24-hour business center, beach cruiser rentals and a heated (year-round) outdoor beach-side pool and Jacuzzi. Valet parking is also available, as are water taxis eager to take guests from Mother’s Beach to various stops around the Marina. With its waterfront location and as creature comforts abound, Jamaica Bay Inn truly offers everything a vacationer needs to relax and enjoy some quality fun-in-the-Southern California sun. And, given its proximity to world-class restaurants and leisure activities, not to mention the mere 15-minute driving distance from LAX, guests at the Inn have access to the best Los Angeles has to the offer while feeling worlds away. As the Executive Editor and Producer of “The Luxe List,” Merilee Kern is an internationally-regarded consumer product trends expert and hospitality industry voice of authority—a travel, dining, leisure, and lifestyle expert who spotlights noteworthy marketplace innovations, change makers, movers, and shakers. She reports on exemplary travel destinations and experiences, extraordinary events and newsworthy products and services across all categories. Reach her online at www.TheLuxeList.com, on Twitter at www.Twitter.com/LuxeListEditor, on Facebook at www.Facebook.com/TheLuxeList and on Instagram at www.Instagram.com/LuxeListReviews.